There are many good reasons to buy a fitness machine in Bochum. 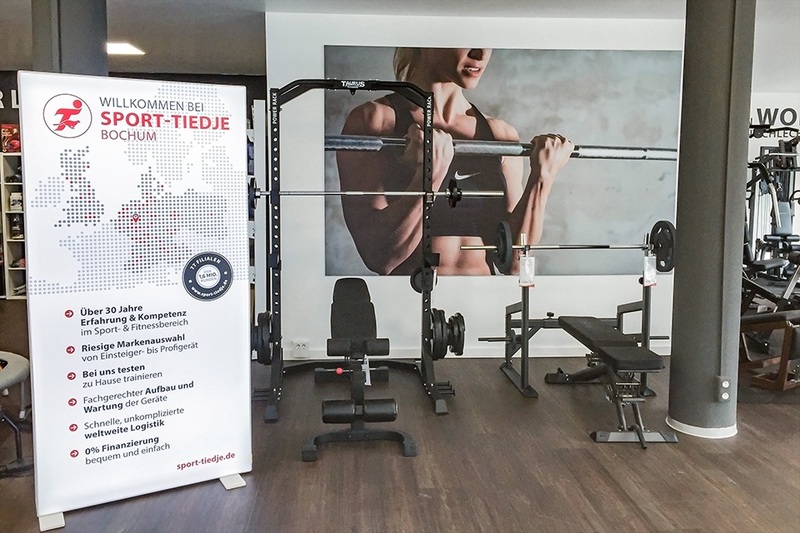 Now you also have the right contact person: At Sport-Tiedje in the Nordring 51-53, you find high-quality strength and cardio machines on 370 square metres for a comfortable and joint-gentle training at home. Either improving effectively your endurance, built muscles or simply be more active in your everyday life: We support your fitness plan with the appropriate training machine. From an excellently absorbed treadmill to the rowing machine for a well-balanced whole body workout or to the compact and multi-functional multi-gym - our range leaves nothing to be desired. A home fitness machine is also ideal for losing weight. 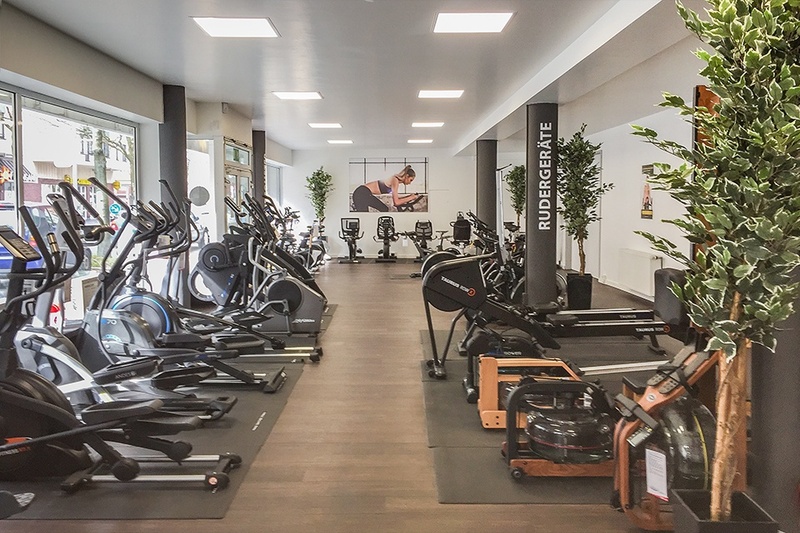 Doing regular workouts with the elliptical cross trainer reduces the pounds, which you might easily intake while feasting at the Bermuda3eck in Bochum. At home, you work out completely independent of the weather, the season, and the opening hours of a fitness gym. Hence: let's start your home training - with a fitness machine of Sport-Tiedje in Bochum! Fans of the outdoor sport can also make their money worth with us: Those, who have already cycled the Kemnader Street in Bochum, know how exhausting it can be: The longest road of Bochum also has the highest point. Cyclists use the route for training purposes. But not every inhabitant of Bochum has such a top fitness. When you want to conquer the incline without facing your fitness limits, then we have a comfortable solution for you: An e-bike with a comfortable pedalling support. 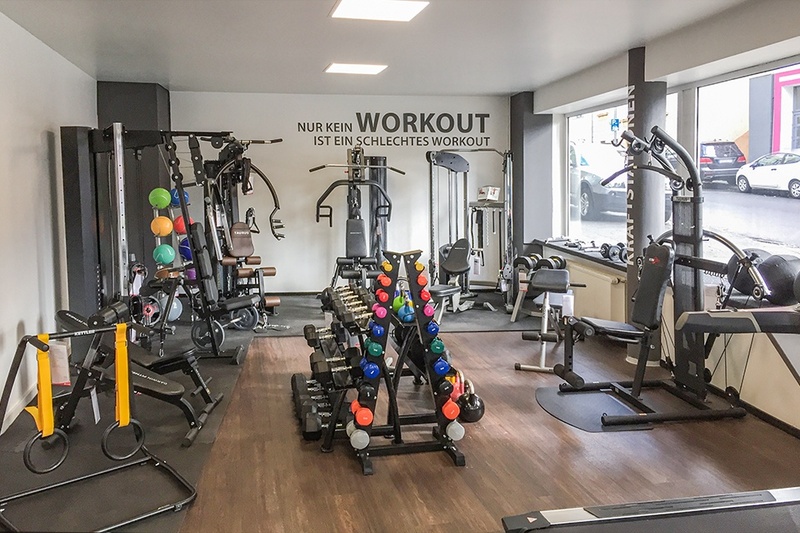 In order to give you a really good feeling when purchasing a fitness machine in Bochum, you can test in detail each and every machine in our showroom. Just visit us wearing comfortable clothes and get on a sporty indoor cycle. Our sport-enthusiastic staff is happy to give advice about your fitness machine, training tips, and the optional assembly service. That's how you can be sure that you find the sport equipment which is perfect for you. 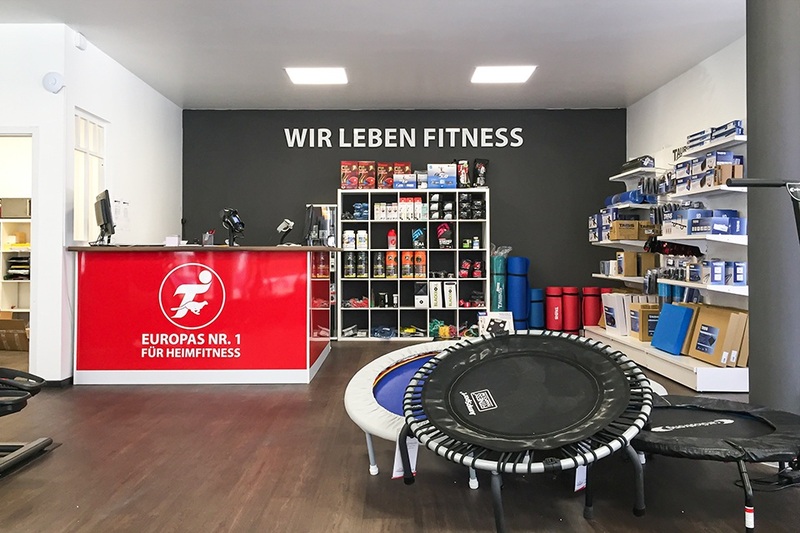 Besides popular large equipment, you also find a lot of small fitness devices and sports nutrition at Sport-Tiedje in Bochum. When you do not have enough space for a large fitness equipment at home or if you look for a usefull addition to your training with the respective accessory, we are happy to recommend the appropriate equipment. For instance a dumbbell, which makes your cardio workout more powerful. Or a fascia roller for a relaxing regeneration after the training.